One of the first things that I hear when people are looking to invest in Bitcoin is “what’s the best way to buy and store cryptocurrency?”. It’s no wonder why, the real danger with cryptocurrency likely isn’t unrealized losses from dips in the price, it’s having everything actually stolen from an unsecured wallet with no way to get it back. This fear is in almost every first-time bitcoin buyer I talk to that’s looking to buy their first Bitcoin, Ethereum or Litecoin. Luckily most hackers are chasing after the big payouts, like the $32.6 million of Ethereum stolen in the Parity hack in the summer of 2017. It’s pretty obvious why hackers target such big paydays. But don’t let your guard down simply because you don’t have millions to invest — there are plenty of people happy to take your rainy-day bitcoin fund. If this is your first time buying bitcoin, we’d recommend you skip the following for the time being and just sign up for a completely free Coinbase account. With Coinbase you can do everything – buy, sell, send, and receive. It’s the ultimate starter pack for cryptocurrency. They also support Ethereum, Litecoin, and Bitcoin Cash. There’s a lot to learn about cryptocurrencies and Coinbase is nearly impossible to screw up. A good first experience will build a solid foundation for the future. It’s completely free to open an account and you can transfer the cryptocurrency you buy to any wallet that you decide to invest in when you know more about your needs. 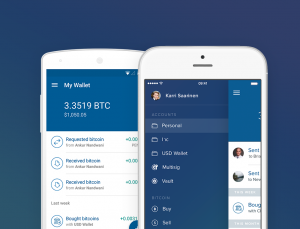 A cryptocurrency wallet is a secure type of digital wallet that is used to store, send and receive Bitcoin, Ethereum, or any of the other 1500+ cryptocurrencies that exist. Basically you have a private key that is used to prove ownership of an address, which allows you to send bitcoin to another address. Addresses are on the blockchain — the revolutionary technology that allows a distributed, trustless ledger to exist and verify that the address really has the amount it’s trying to send. And then you have a wallet which is a software program that’s used to store the crypto assets away from hackers or “digital pick pockets” until you choose to repeat the process and send it to another address. There are a variety of different kinds of wallets all ranging in ease of use, accessibility, security, and cost. We’ve put together a guide for you to determine which type of wallet is best for you. A hardware wallet is a physical piece of hardware that usually looks like a fancy USB drive. There are so many reasons to go with a hardware wallet, but in a nutshell they’re our recommended pick for significant investments because they’re extremely secure, easy to store, and easy to use. If you plan to have more than a few thousand dollars of cryptocurrency, you must get a hardware wallet. You can see our favorite hardware wallets below. Online wallets are super compelling for their accessibility, low cost, and ease of use. As the name suggests, as long as you have an internet connection you’ll be able to access your coins from your smartphone, tablet, laptop, desktop, etc. Because of this open accessibility, you really need to be sure that the service you’re using is serious about security. We recommend the most secure online services recommended below. Mobile wallets are a bit tricky. On one hand, they’re really useful if you actually intend to spend your cryptocurrency like cash with local businesses that accept it. But on the other hand, they’re likely to be less secure depending on the application you get. It’s hard to know which wallets to trust, but we recommend only using the App Store or Google Play Store to download apps, and stick with ones that have been around a long time. The one major exception to this is using Coinbase, who are an online wallet with a mobile application. They are a large company that is FDIC for cash and 3rd party insured for crypto and extremely secure. We recommend using a mobile wallet in the same way as you’d use your physical wallet — just keep enough in for about a weeks worth of spending. Desktop wallets are decent option if you can ensure the security of the device it’s on. 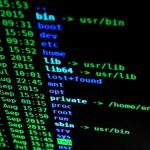 The issue with having desktop wallets on a day-to-day personal computer is that daily browsing increases the chances of accidentally infecting a computer with malware that can be used to steal your coins. If you’re storing a significant number of bitcoin on a desktop wallet, we highly recommend using a completely seperate, brand new computer that will not be used for personal browsing. Ideally it won’t ever be connected to the internet. Another issue with desktop client wallets is that you’ll likely have to make a digital backup of the wallet or risk losing your coins if something happens to your computer. With wallets like Cardano’s (ADA) Daedalus desktop wallet they’ll issue you a recovery phrase that you can store offline and recover your wallet, but not all will do this. We don’t actually recommend any desktop wallets unless they offer some specific advantage over securing with a hardware wallet. Even very seasoned cryptocurrency users have slipped up and lost a lot of money by using a desktop wallet. One crypto that has an advantage with the desktop client is NAV Coin (NAV), where you can use the desktop client to participate in the Proof of Stake (PoS) system and earn interest on your coins just for storing them in their desktop client and keeping it connected to the internet. This is a situation where it is advantageous to keep your coins in the desktop client. 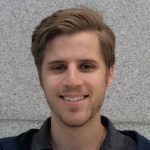 A paper wallet is just what it sounds like — you take your crypto credentials and write it down on a physical piece of paper, then store that in a secure location. Paper wallets may seem old-fashioned, but they’re arguably the most secure type of crypto wallet that exists. It unfortunately isn’t as easy as writing down the number of bitcoin you claim to own and calling it a day. But if you possess the technical knowledge you can have a really secure crypto wallet. Unless..
Well, unless of course something happens to that piece of paper that you write it on. In the event of a fire, flood, hurricane, tornado, theft, or even a stroke of high-stakes memory loss, you will not be able to recover your cryptocurrency. For these reason, we recommend people use one of the other options. Not to mention that paper wallets are still totally exposed to key logger malware, meaning if you access your coins on an infected computer the hacker can steal all your coins after you type in your keys. 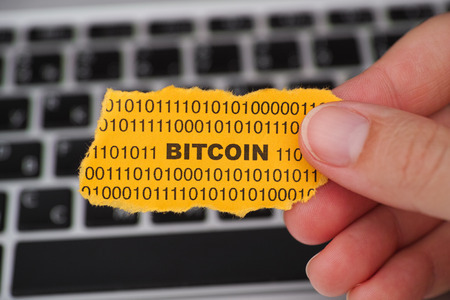 If you refuse to pay a penny to secure your investment you can create a free paper wallet here, however, given how many low-cost and free Bitcoin wallets there are, most people in the crypto community see paper wallets as a bit old-fashioned, unless you’re talking about millions to be stored in multiple bank vaults for redundancy like the Winklevoss Twins. If this is your first go at cryptocurrency stick to another option unless you’ll be hiring a consultant to implement your paper wallet. Now that you’ve learned about the different types of wallets, you probably have a better idea of what you’d like. 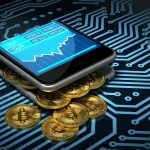 Generally people go with either a hardware wallet or an online/mobile wallet, or better yet – both! Keep in mind you don’t have to commit to using only one wallet. In fact, people who have adopted an only-Bitcoin lifestyle know that you actually need more than one wallet. Do you store every last penny of your dollars, euros or sterling in the exact same place? Of course not! I don’t mean to make you think that you need more than one wallet to get started, everyone starts with one wallet. But keep in mind it’s smart and standard practice to have a super-secure option like a hardware wallet as a “savings account” and a easier to access, more flexible option to use as your “cash wallet”. 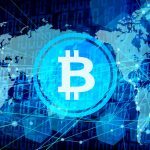 So what is the best bitcoin wallet? A free Coinbase account <-(We both get $10 FREE after $100 purchase of Bitcoin, Bitcoin Cash, Ethereum, or Litecoin with my referral link) to purchase coins securely, and store a day or two’s worth of Bitcoin for spending. 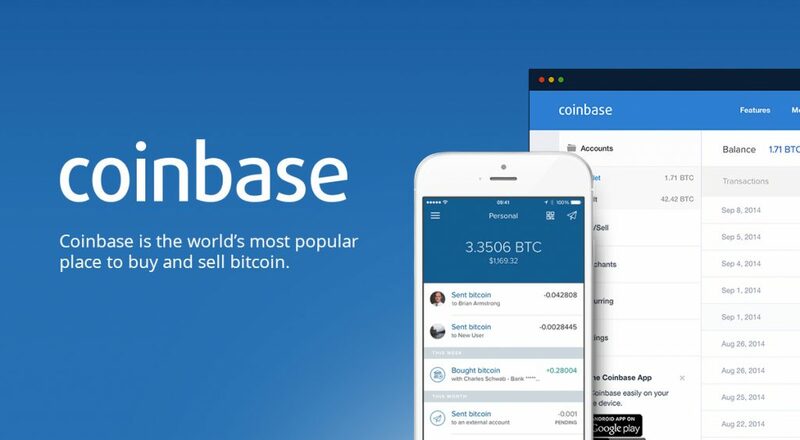 Coinbase is the entryway to the cryptocurrency world, it’s by far the best way to turn your USD, EUR, GBP into cryptocurrency without any risk. 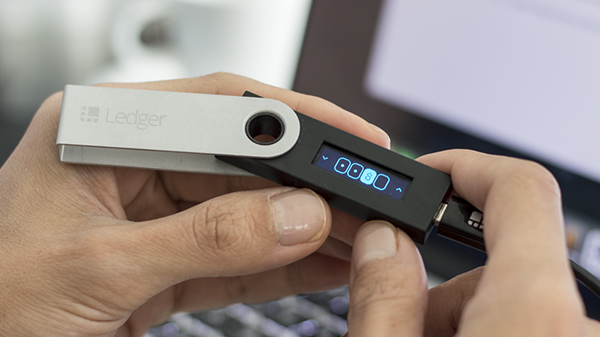 A Ledger Nano S to store all of your cryptocurrency you have minus what you may spend in Bitcoin or Ethereum in a week or two. 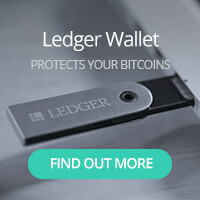 This top-notch hardware wallet will store your tokens in a way so secure that some basic precautions will virtually guarantee big investments from a theft or ransom nightmare. 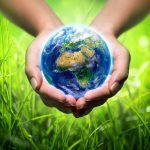 A free Binance account to exchange your mainstream currencies (BTC, BCH, ETH, LTC) for high-growth altcoins. After using every widely available exchange I’ve found Binance to be the best. They have minuscule .05% trading fees, offer the best selection of altcoins, and don’t require any verification whatsoever as long as you don’t intend to withdraw more than 2 BTC worth of currency per day. Google Authenticator App – do your future self a huge favor and don’t skip over this part. Just go to the App store or Play store and download this nifty little app. With it you can add a second layer of security to most of your crypto accounts. That is a really sound combination and suits 99.9% of new cryptocurrency investors. If your situation requires something special keep reading to see our full reviews on these and other cryptocurrency wallets. So you want an online wallet service for its accessibility and ease of use? Honestly I think that every single person on earth should at bare minimum have a Coinbase account. It’s completely free to open, as secure as any major bank, and it gets you started on cryptocurrencies so you’ll be able to at very least receive payments from people. If you sign up with my link you’ll get a FREE $10 bonus when you buy your first $100 of Bitcoin. What’s there to lose? 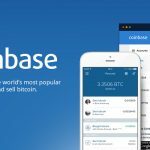 Coinbase is one of the largest players in cryptocurrency. They offer much more than just a simple wallet. With most wallets you’ll have to go to an exchange to buy your cryptocurrency before you can store it. With Coinbase, you can buy, send, receive, and even securely store your tokens in their Vault. You’ll have to verify your identity with a drivers license or equivalent. You’ll then have to fund your Coinbase account with either a debit or credit card, which will deposit the funds into your account instantly. You can also do a bank transfer but be aware you’ll have to wait 3-5 business days to make your first purchase. Coinbase is a huge company based in San Fransisco. They are insured and are as secure as a company can get. 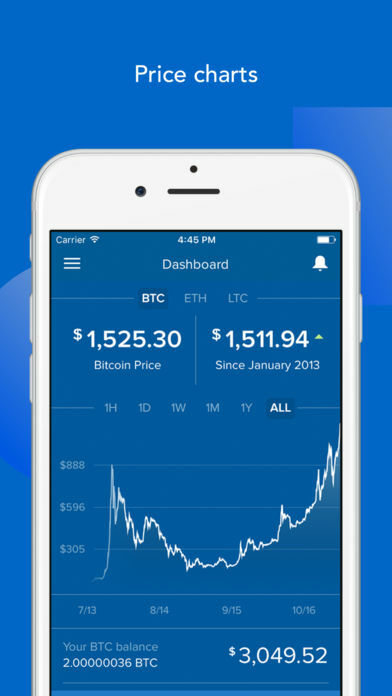 The best bitcoin iPhone app on the market. Couldn’t be more streamlined and easy to use. Privacy – with Coinbase you have to verify your identity. This means much of the anonymity of Bitcoin and other cryptos is lost with Coinbase. Initial deposit time – If you don’t have a debit card or credit card to fund with then you’ll have to wait 3-5 business days for your bank transfer to clear. 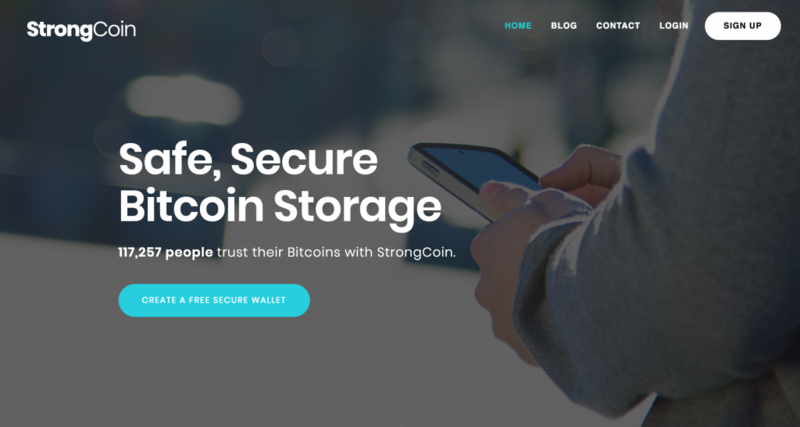 StrongCoin has been storing people’s Bitcoin since 2011. They use a hybrid-wallet that doesn’t ever actually send your data to StrongCoin, it encrypts your private key in your browser so they never even see your sensitive details. It’s free to create a wallet, but they do charge a small transaction fee to buy currencies. Just head over to www.strongcoin.com and get started. One of the best features of StrongCoin is that it’s downloadable as a PDF. This means if at any time you want your coins to be just as secure as a paper wallet, you can simply log in and download a file. It also means they can’t hold your tokens for ransom as has happened in recent years. You can also purchase BTC and other cryptocurrencies directly to your StrongCoin wallet, so you don’t have to risk theft from exchanges. It’s so easy to implant malware on a hardware wallet that any manufacturer can do it. Do your future-self a favor and don’t order the cheapest hardware wallet you can find. It may not even be the brand you’re buying from that’s crooked, but the factory they outsource their manufacturing to. This is also why we advise against buying any pre-owned wallet. There are ways to check a piece of hardware for already known hacks, but when I’m storing my money somewhere I don’t want to gamble all my money on the assumption that the last possible method of hacking has already been discovered and documented. With that said, a proper hardware wallet is easily the safest way to store your Bitcoin, Ethereum, or altcoins. 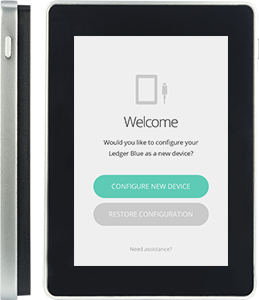 We love Ledger devices for their enterprise-level security, top notch support, great user interface, and beautiful design. All the wallets below are well built and will last a long time. Once you have a good wallet, you can pretty much do anything you want in crypto! If you’re looking for a single recommendation on which hardware wallet you should use to store your bitcoin or other cryptocurrency, the Ledger Nano S is it. It has an really easy to use interface, years of tightening security, and the high quality European design is nice as well. Expanse (EXP) and a handful of lesser known cryptocurrencies. *** ERC20 tokens are projects launched on the Ethereum network. They use the same underlying protocol as Ethereum and therefore can be stored in the same wallet as Ethereum. MyEtherWallet is the most reputable. While the Nano S is our top recommended model for most people who are looking to get their feet wet in Bitcoin or Ethereum, the Blue is going to carve out a great place in the market. 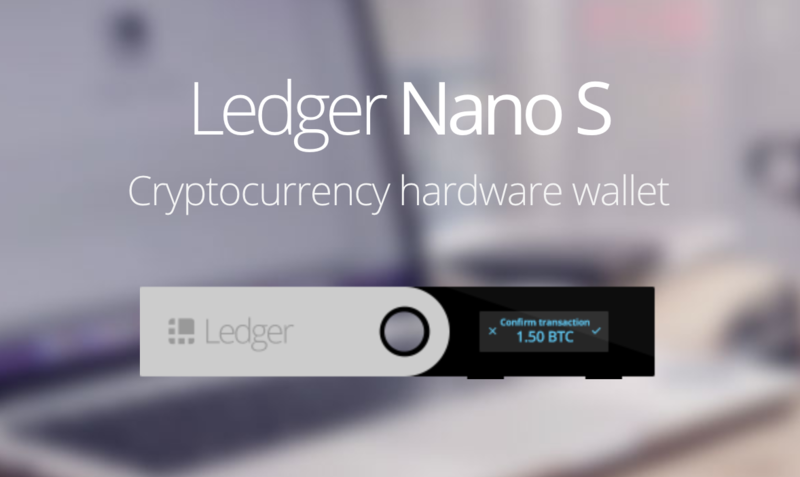 The pre-order is over and you can now get it on the official Ledger site.